With ten years in the yachting industry from deckhand to a Class IV Captain, Graham Rutherford can assist Captains and crew with refits, yacht management or any provisioning needs. His wife is a registered nurse and has been certified to teach CPR, AED and first aid recertification classes as well. Charles Dorsch Ships Agent, Inc.
As Ships Agents, Customs Brokers and Freight Forwarders, this company can also provide General Order or Bonded Warehouse Services. Explorer's professional and experienced staff can assist you with on and offshore issues while in the San Diego and L.A. area. 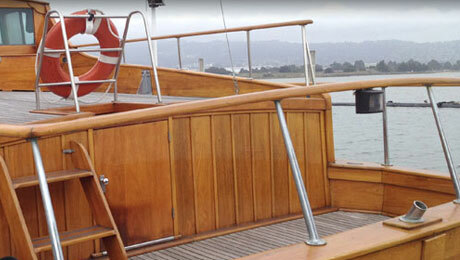 Services include refrigeration, plumbing, yacht management, and many others. Along with their electronics division - see Shelter Island Marine Electronics (in ‘Electronics’ section).